Andreas Varady is a young guitarist with the sound of a veteran who has been playing for many years–to say the very least. He is not an old soul with an old sound but quite the contrary; he is a young soul with a refreshing mature sound. Surrounded by music and hailing from a home full of music, it was natural for Andreas to pursue what came most natural to him. For him, that was playing the guitar starting at the age of four. He never considered any other options. He recalls hearing his hero George Benson’s album Breezin’ and the impact it instantly had on him. Varady has appeared at Jazz Festivals on international stages around the world since he was twelve years old. Andreas’ life took a dramatic turn after he was invited to play in a group at the Montreux Jazz Festival. It was there during practice that he met the legendary Quincy Jones who would soon thereafter sign him to his Management Company. Varady’s life now at seventeen years old continues to escalate. 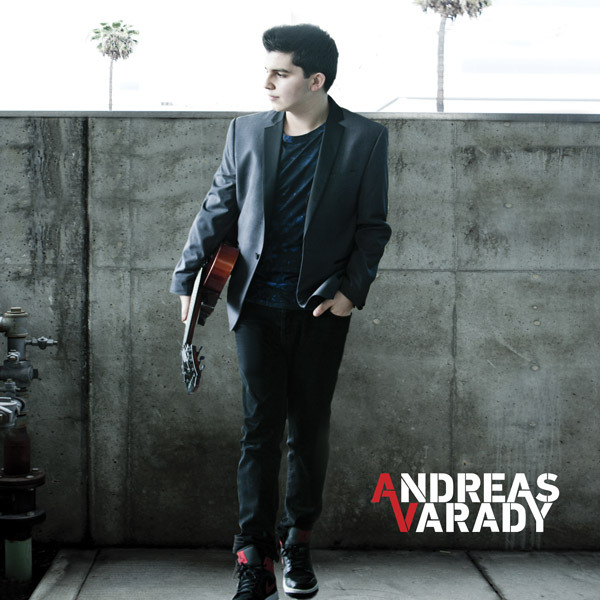 He recently signed with Verve, and his first CD is self titled Andreas Varady. It features newcomer Gregory Porter as well as the legendary Greg Phillinganes. Andreas appreciates different genres thus is also influenced by them. Through it all, Andreas remains grounded, humble, and focused. He looks forward to making new music, experiencing different projects, welcoming new opportunities, and building his career.